Which is the most beautiful city in the world? For many it’s Florence and I must agree! 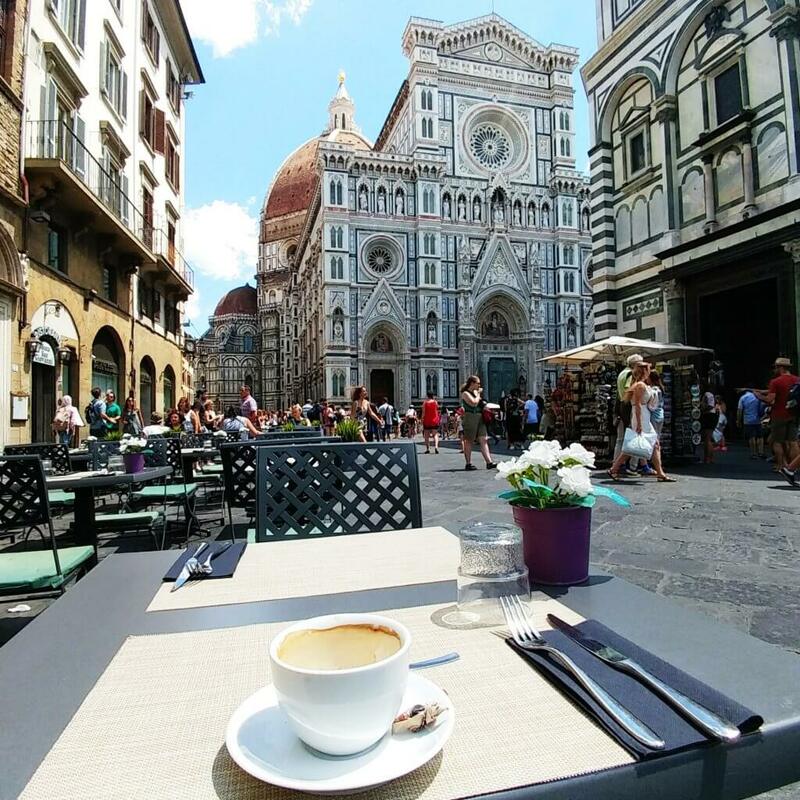 There are many reasons to fall in love with Florence and say out loud “I want to live forever here”. Let’s begin with the amazing food, the Chianti wine, and the famous Fiorentina steak. 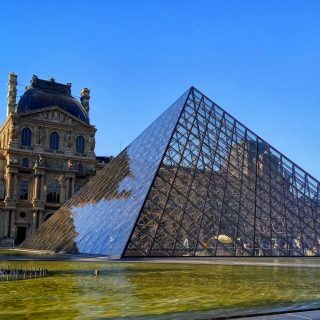 If that is not enough for you, I can mention art, the city’s unbelievable museums like the Uffizi Gallery, the Galleria dell’Accademia and the world famous statue of Michelangelo? If in the end, all these are not enough for you to admit that Florence is the most elegant and artistic city of the world take a late night walk to the romantic bridge of Ponte Vecchio and admire the impressive Duomo. 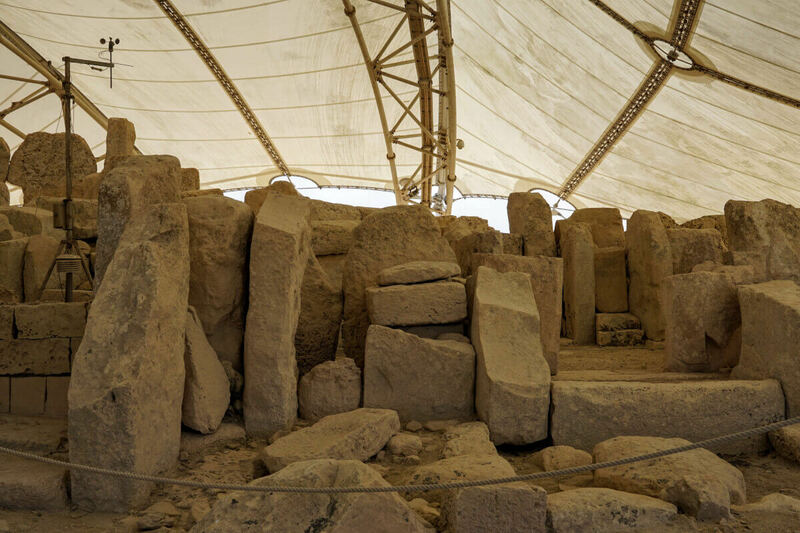 Many of these attractions, of course, are not free and they do cost a lot. Florence itself is considered one of the most expensive Italian cities. If your budget is limited learn how to visit the capital city of the Italian Renaissance without spending a fortune. 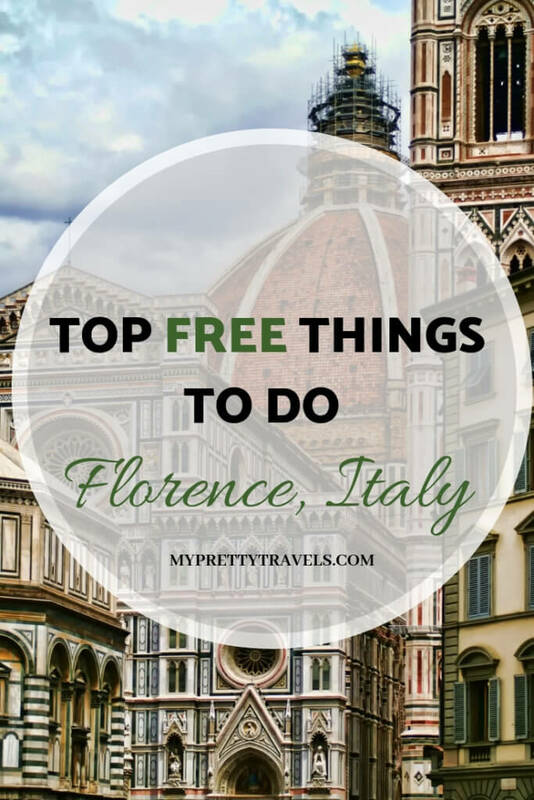 These are the best free things that you see in Florence! Me smiling in front of the Duomo! Florence’s central Florence square itself is an attraction. I have been there 5 times until now and every time, believe me, it leaves me breathless. The “Duomo“, the famous cathedral is the third largest in Europe and when it was completed in the 15th century it was the largest in the world. The official name is “Santa Maria del Fiore” but everyone knows the church as “Duomo di Firenze“. If you are feeling small it will be because it is about 160 meters tall. Not bad eh? Take a moment to admire its beautiful façade, the red, the green, the white and the rosy marble and the details. It’s so beautiful, only steading there makes you feel happy. 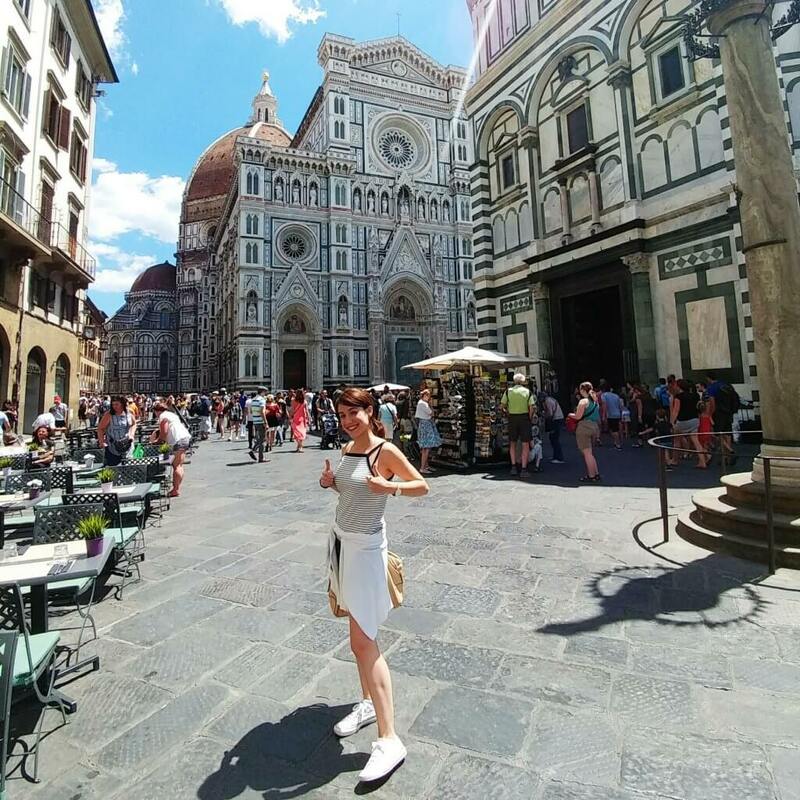 If you are in front of the Duomo, just turn 160 degrees and look behind you. 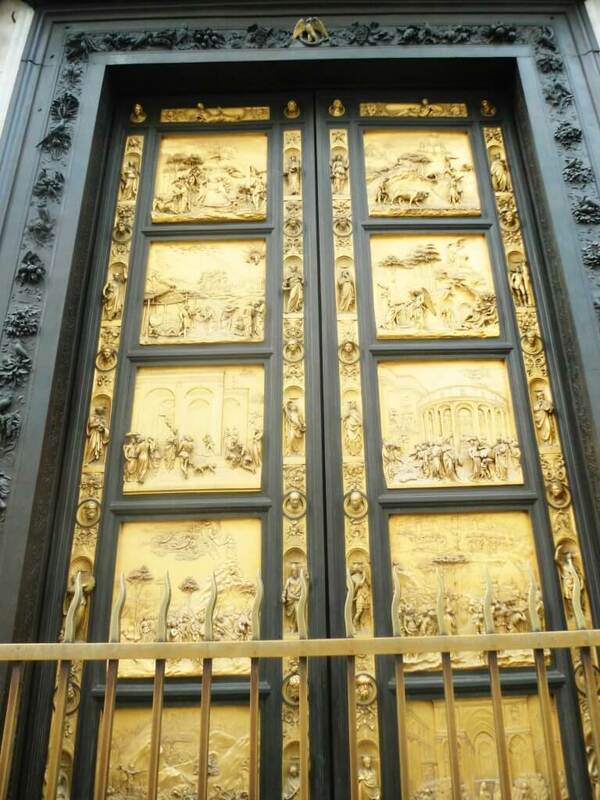 These are the famous gates of Paradise depicting scenes from the Old Testament. What does Ponte Vecchio mean? It means old bridge in Italian. It was built in 1345 and was Florence’s first bridge over the River Arno. It is famous not only because it is the only medieval bridge that is still preserved, but also because it is one of the most beautiful and romantic sights of Florence. Since the ‘300 the bridge was actually used as a normal road. 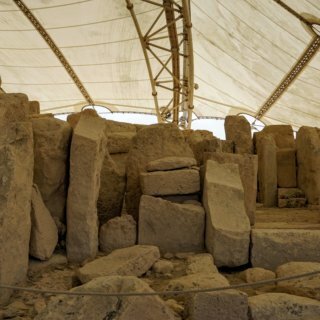 Initially, that shops they were located here, were much more different than the jewelry shops that we see nowadays. 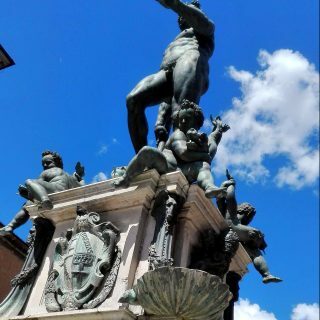 History teaches us that here the citizens could find butchers and greengrocers: it was simple for then throw the waste directly into the Arno river. If you are on a romantic trip, have in mind that you can buy a wedding ring from here. The prices are of course a little high, but you can always walk around, do some window shopping and take pretty pictures of Arno. 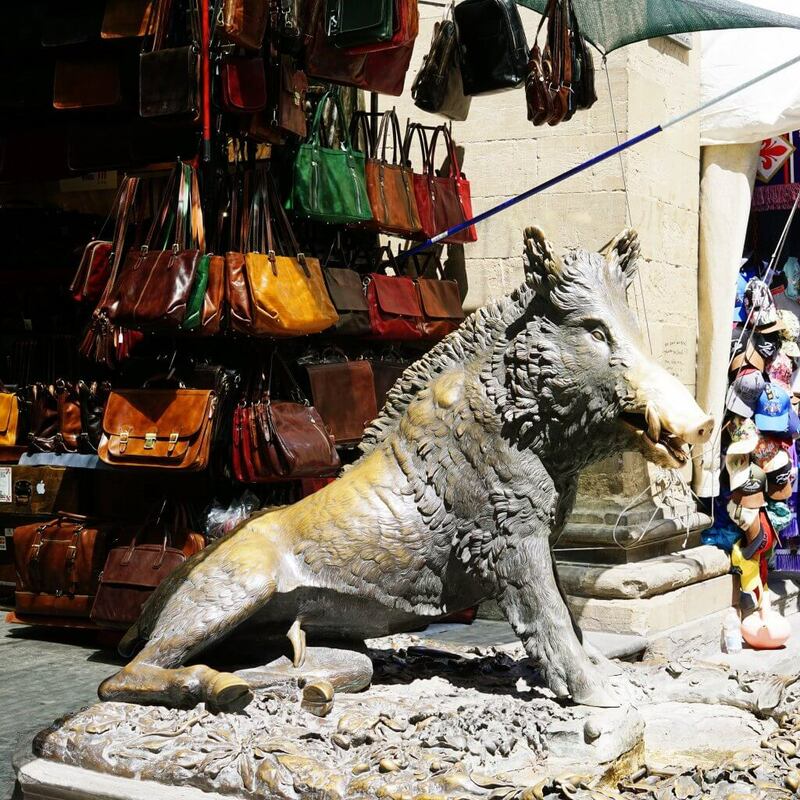 Florence’s central square, Piazza della Signoria, is the best place to enjoy free art! 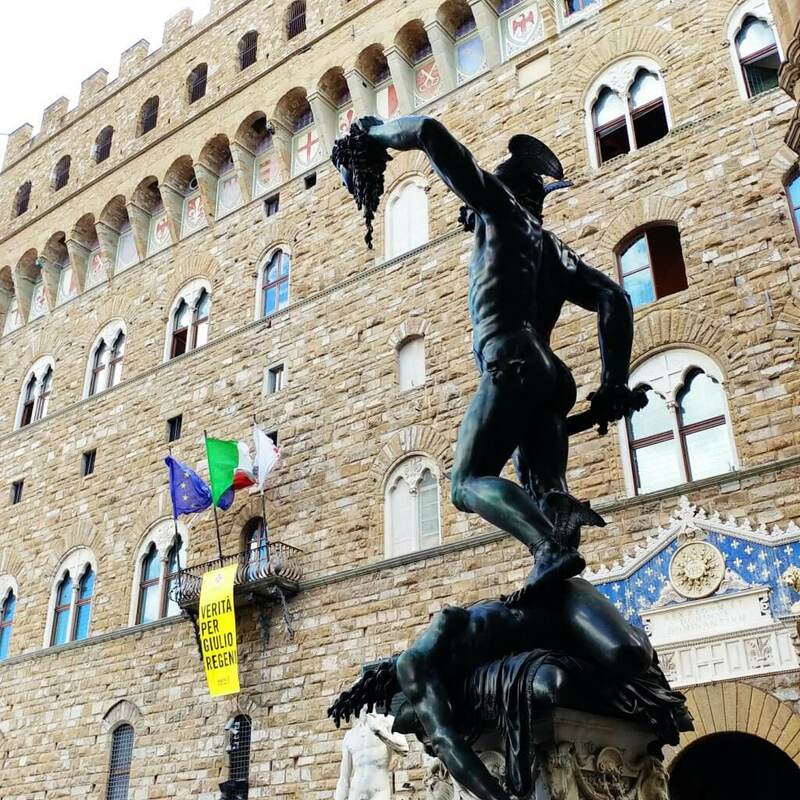 The square in front of Palazzo Vecchio is like an open museum with so many statues and pieces of art. Admire Neptune’s Fountain or the statue of Perseus with the head of the Medusa. Did you notice that there is also a replica of Michelangelo’s David? (The original is now in the Galleria dell’Academia). The square is beautiful even at night. Where is Piazzale Michelangelo? It is not close to Firenze center but with a short walk or bus you can go to this square designed in 1860 by Giuseppe Poggi on the top of the hill. From there you will have for free some of the best views of Florence! To see more what bus can take you there and find the timetable, visit the website Ataf. It is the company that runs the buses in Florence. If you want to buy leather goods in Florence you have to go at Mercato Nuovo. You will be impressed by the designs and the quality of the products. The prices are not very expensive and especially if you are looking for some souvenirs to take back home, a small leather wallet is an excellent idea! The famous Porcellino Fountain, or better “the pig fountain” is one of the funniest free attractions of the city. A pig – yes, a pig, that’s correct – is close to the Mercato Nuovo and has a special power. the legend says that if you touch its nose and put a coin in his mouth, one day, you will return to Florence. It may be stupid, but at least I can say that I did it the first time I returned to Florence another 4 times! Or else, in plain English the central market. It’s one of the places I recommend to anyone looking to eat in Florence. It’s one of the places that locals go too very often!